4/8/19 - As the Spring 2019 semester is coming to a close, we would like to remind all students that you will be required to move out of your spring housing assignment 24 hours after your last final exam or by 3pm on Friday, May 10th, whichever comes first. Any special need to remain past that time should be discussed with your Residence Coordinator. 4/4/19 - Apply for summer housing! 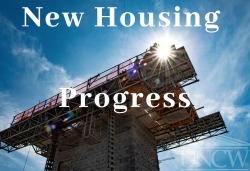 The summer housing application portal has been rescheduled due to renovations and will now open on Monday April 8, 2019 at 10am. Please check your UNCW email for details.